The eyes of the world will be on Paris late this year, when COP21 assembles to negotiate a successor to the Kyoto Climate Treaty. The United States and the European Union, among others, have already declared their intentions about their proposed commitments to reduce emissions. And while the formal negotiations are between nation states, the outcome also will be shaped by the actions and advocacy of the business community. There are three crucial ways that companies will help determine how successful Paris turns out to be. First, as an engine of innovation, business can contribute new technologies, business models, products, and services that will make it possible to achieve government-set mandates and goals. Tesla’s new home-energy storage unit, Powerwall, is but the latest example of the transformative products that will make the path to low-carbon economy much faster—and more prosperous for those who create such solutions. Second, business can catalyze cross-sector partnerships that ensure systemic change, rather than demonstration projects. The Tropical Forest Alliance, which is aiming to end rampant deforestation, is one such example, as is BSR’s own Clean Cargo Working Group, in which carriers responsible for 85 percent of global cargo shipping capacity are working to reduce the impacts of sea transportation. Finally, business has the (often underutilized) ability to call for more ambitious public policy. BSR is working with six other business networks, and several leading companies, through the We Mean Business coalition to call on governments to achieve bold, ambitious outcomes at Paris. All these steps will be on display at the Business and Climate Summit in Paris on May 20-21. This event will gather more than 1,000 leaders in the most important business gathering this year focused exclusively on climate. I will be there, along with several BSR colleagues—as well as leaders from BSR member companies like AXA, BNP Paribas, Facebook, Nike, and Total—to demonstrate what business is already doing, and how much further the private sector can go with the right policy frameworks. At Copenhagen in 2009, many of us were disappointed by the tepid outcome. While it is far too early to assume there will be a truly successful outcome at COP21, there are two reasons to think that Paris might succeed where Copenhagen fell short. First is the simple fact of timing. The world’s economy was in a far too fragile state for government leaders to take decisive steps then: domestic political risks of doing so were too high. Second, and more importantly, much was learned at Copenhagen. The notion that a single agreement among 192 countries would “solve” the climate issue is no longer the paradigm being followed. The organizers of COP21 have created a track for non-state actors—not least business—to take the lead and demonstrate what’s possible. Much of this will be on display in Paris later this month. Just as the road from Paris after December is crucial, so, too, is the road to Paris. The Business and Climate Summit will be a visible sign that a great many businesses are aligning with the need for climate ambition. Let us make a start now, and build momentum for Paris in December, and more importantly, what lies beyond COP21. 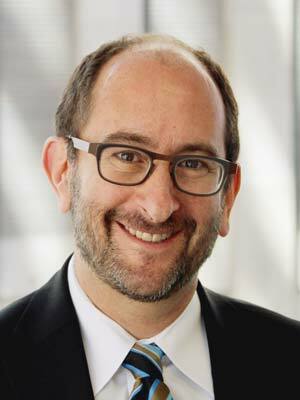 Join BSR President and CEO Aron Cramer, who will be leading a session on “Cities: Infrastructure and Buildings, Technology and Transportation,” at the Business and Climate Summit May 20-21 in Paris.